Today is a Tuesday. Rain overnight and early morning. David had been away for several days and came back home. I went to my weekly knitting group in the afternoon. I received a prize in the mail and my sister received a belated birthday gift. 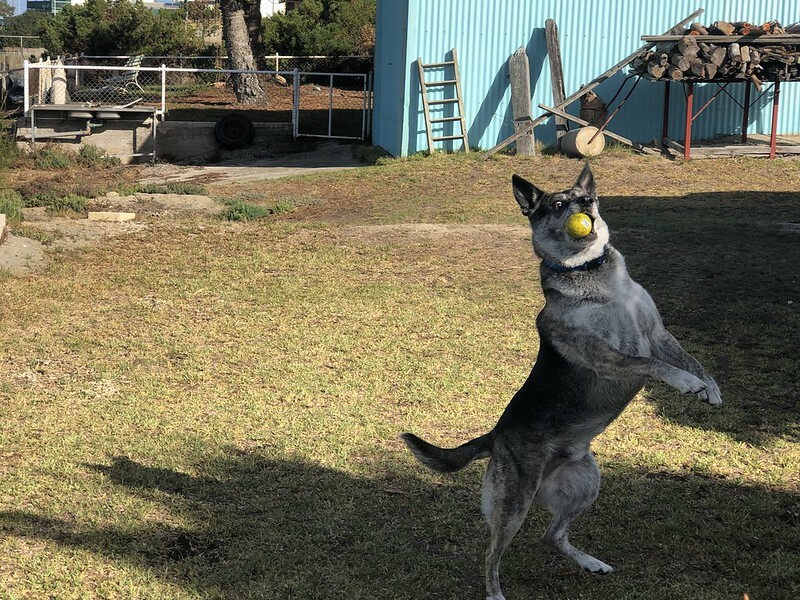 Zac did what he does best, catching a ball. Today is a Tuesday and it was overcast and chilly for February. 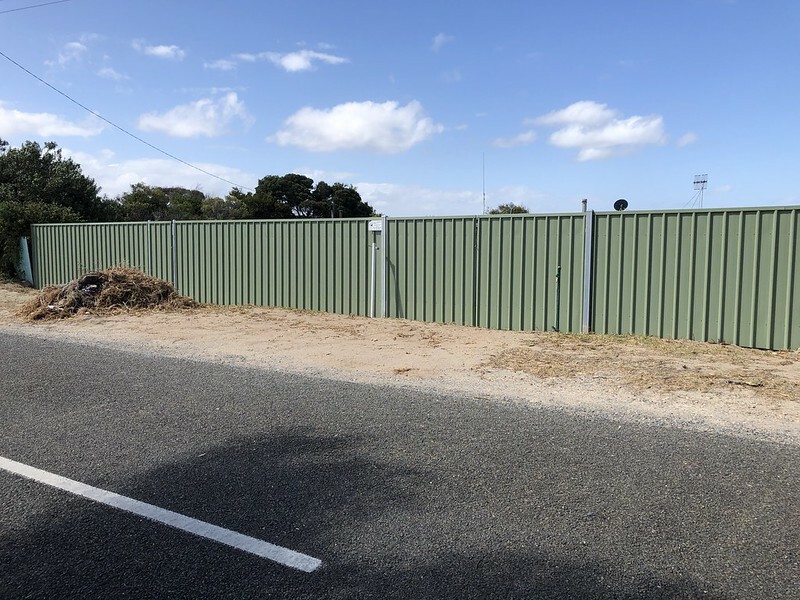 We have a new back fence that was completed today. Yay!! It looks fabulous! I went to my knitting group in the afternoon. Today is a Saturday and we have been holidaying at Kingston on Murray at the caravan park. Weather forecast is 41C (and it got to that!). 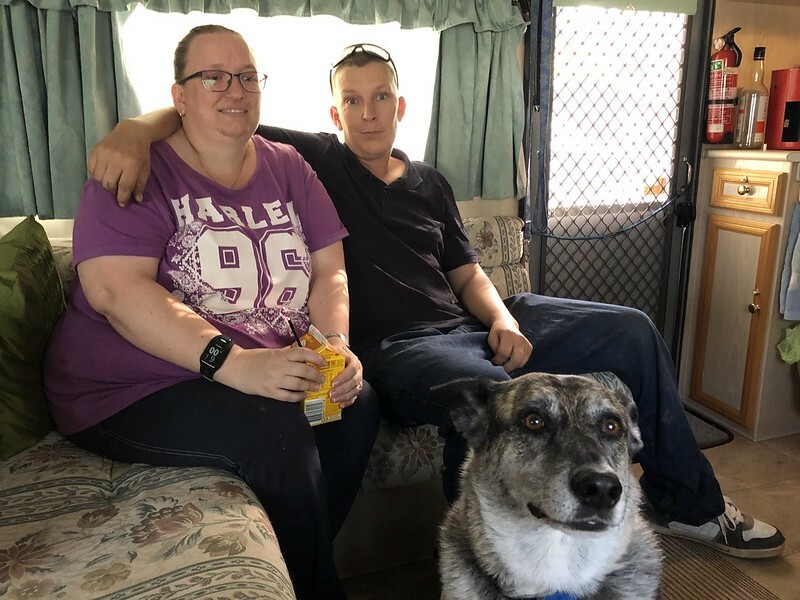 The caravan park is extremely pleasant with well managed grounds and welcoming owners.We had a nice surprise with David’s niece and nephew dropping in to meet us. They lived nearby.